Takeaway Lanzarote, food delivery with a variety of restaurant menus offering Roast Chicken ,Pizza, Kebabs, Chinese, Indian,Thai, Italian, Canaries, Spanish and much more. 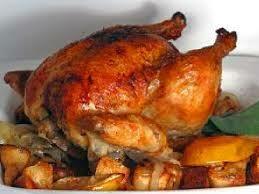 Best Chicken Roaster Restaurant Playa Blanca Lanzarote There are no products in this category. Chicken Roaster | Homemade Restaurant Food Delivery Playa Blanca.